100% Pure Herbal Ayurvedic formulation. Very effective in controlling acne and pimples and preventing future breakouts. Keeps the skin soft. Contains Silk Cotton Tree which has astringent and cooling properties, Five Leaved Chaste Tree that reduces skin inflammation and Aloe Vera that heals and softens the skin. The cream removes pimples in six days without leaving any scars and keeps the skin soft and supple. 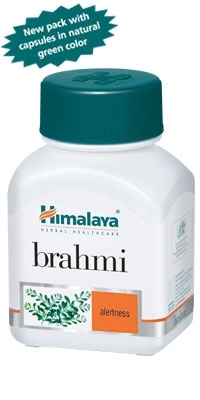 Himalaya Acne-n-Pimple Cream is a unique formulation of herbs like, Lentil and Shalmali, which have anti-inflammatory and cooling properties that help in reducing acne. Saurashtri, a good astringent and antiseptic, is beneficial in treating infections, acne and pimples, and Aloe vera, which possesses moisturising and soothing properties are also present. Unlike chemical based anti-acne creams, which leave behind pimple marks and make the skin rough, Himalaya Acne-n-Pimple Cream removes pimples without leaving any marks. It also keeps the skin soft and smooth. Silk Cotton Tree (Salmalia malabarica / Bombax ceiba) (12.5 mg). The bark of the tree contains lupeol, ß-sitosterol and its D-glucoside. It is used as a styptic, and also for fomenting wounds. The gum is credited with astringent, tonic, and demulcent properties .